← Top Tips On How To Secure A Placement! The short answer to this question is anything, or at least the 60/65% of graduate jobs that are not asking for any specific degree discipline. This percentage increases for SES students as they can obviously do those graduate roles that do require specific sports related knowledge (of which more below) and careers related to biomedical sciences. I often find that when speaking to SES students (or indeed any students) that they are not always sure of what they have learnt from their degrees. They know they have learnt some things, and in most cases they know they have learnt some very complex things, but they can’t always put their finger on just what it is they have learnt. They tend to list soft skills such as communication, team working and organisation skills. All good skills to have and all in demand by employers, but then again, all students get these skills. They forget to mention their ability to set up experiments, collect manipulate and analyse scientific data and their ability to draw inferences and conclusions from such experiments backed up by the numerical skills they need to make sense of the data they have collected! On top of this they have been developing the critical and analytical skills needed to interpret the data, finally using their written and presentation skills to convey their findings to tutors for their assessments and verbally to peers in group sessions. I know they have these skills as I have attended a number of their lab/practical workshops to see them set up and conduct an experiment on various sports apparatus. There was some supervision from tutors but they had to work out how to set about this task with minimum input thus testing their problem solving skills too. As a non-scientist this seemed pretty complex to me, which brings me on to the employers some of whom, as we have seen, can have a distorted view of what SES students do. To combat this Dr. Daniella Strauss, an SES lecturer, invited a number of non-scientific graduate employers to one of their labs to let them see just what an SES student is learning from their degree. These employers included a well known food retailer, a recruitment consultancy and an accountancy firm. They, as I, were impressed not just about the amount of knowledge they had to contend with, but its complexity and the analytical skills and software tools needed to make sense of it. So much so that two of the above now specifically target SES students when they have any vacancies they want to advertise. So what kind of careers can SES students go on to do? As I have mentioned, they can and do go on to compete for jobs where employers consider any degree discipline, these include marketing, sales and advertising. 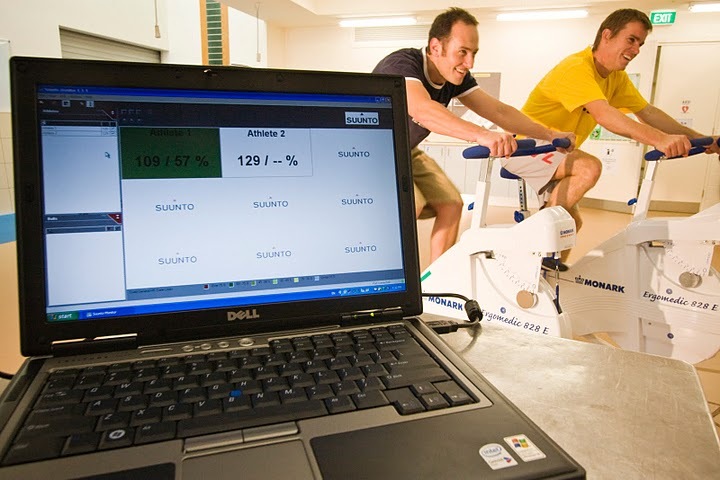 Careers related to their degree discipline include sports massage, sports science manager, health promotions and strength and conditioning coach. SES students can also enter the health care professions but need to consider where their interests lie and what the content of their degree has been (or can be if they are planning ahead). So, are they interested in the respiratory and physiological aspects of their degree and if so can they highlight these on any applications they may make, for example to the NHS’s Scientist Training Programme. This is where I came in at the start. What have you learnt from your degree? Can you demonstrate the relevance of what you have learnt to the employer you are targeting. SES students have a wide range of skills and knowledge that they are developing via their degree programme, and, as we have seen, employers from a variety of backgrounds are keen to employ them once they know what they have to offer. And all without a football in sight! As an sport science graduate I totally understand where they are coming from. This is a great blog and really makes it clear! You have even given me some ideas!